In a description that is reminiscent of stories from New Orleans after it was decimated by Hurricane Katrina, CBS News reports that residents of Staten Island, N.Y., are "pleading for help from elected officials, begging for gasoline, food and clothing" three days after Hurricane Sandy hit the borough. "We're going to die! We're going to freeze! We got 90-year-old people!" Donna Solli told visiting officials. "You don't understand. You gotta get your trucks down here on the corner now. It's been three days!" Staten Island was one of the hardest-hit communities in New York City. More than 80,000 residents are still without power. Many are homeless, and at least 19 people died on Staten Island because of the storm. 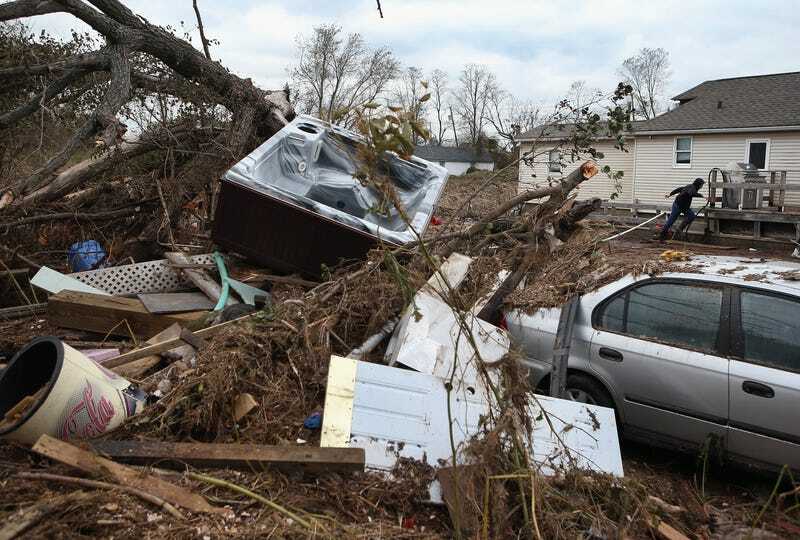 One of the devastated neighborhoods was overwhelmed by a violent surge of water. Residents described a super-sized wave as high as 20 feet, with water rushing into the streets like rapids. Sen. Malcolm Smith, while inspecting the damage, told New York's Daily News, "I'm looking at a small Katrina out here." Meanwhile, the New York City Marathon, with a Staten Island starting line, is slated to go on as usual on Saturday. That decision has sparked outrage. Councilman James Otto tweeted, "If they take one first responder from Staten Island to cover this marathon, I will scream." Let us know in the comments: Does this bring back memories of Katrina? And should the race go on?